Sometimes a lady just likes to feel feminine and pretty, am I right? And in my book there’s no better color to evoke that feeling than blush pink. 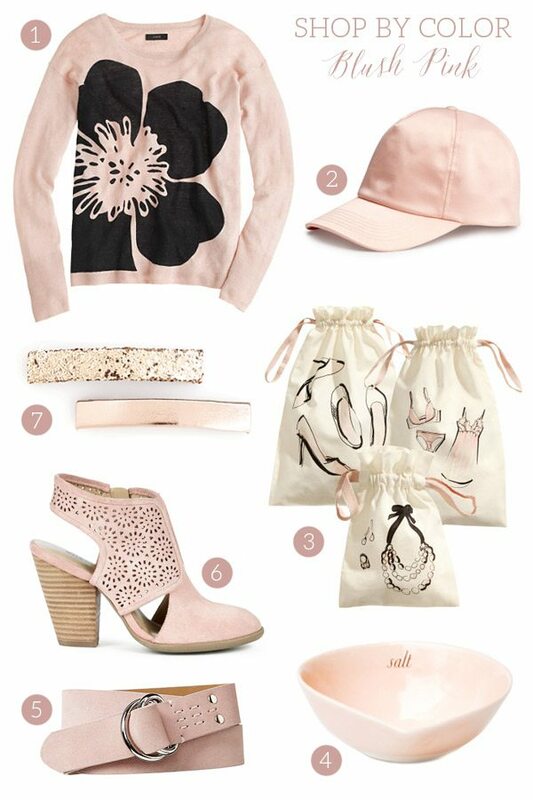 I think I love blush best when it’s used as a neutral and paired with other neutrals like black, white and ivory. Can we talk about these booties for a second? I think they’d make the perfect shoe for late summer right on into fall when they’d look adorable with jeans and sweaters. (They also come in camel and natural, too!) At any rate, here are some pretty in pink things I’m loving at the moment. Any favorites?